It’s not in the wisdom of the ancient, nor the survey of the Renaissance, but in the collective knowledge of all, that reviews and feedback are what completes a loop between a producer/creator and the users or the beneficiaries, in a business. We require inspections to improve and better our products and produce. Not only that, we even use it to enhance our public image, or to the society, in general. Especially in 2019, when we are more into our phones and the revolutionary Internet, we tend to rely on user reviews more than anything else. Therefore, it is highly necessary to get Google reviews - be it on user services, shops, or any public sector industries. When you hear about a new restaurant in town, the first thing you unconsciously do is look for it on Google, where the reviews and ratings pop up, based only on which you decide to book a table. Bringing the numbers on the table, around 90% of the people look up service on Google before using it or recommending it. Among the same, about 60% take the time to read the reviews written on the products the company/producer sells or the services it provides. Guess what? 75% of users say that positive reviews on Google most certainly offer that right stimulus to confused or uncertain users to visit or avail your service. 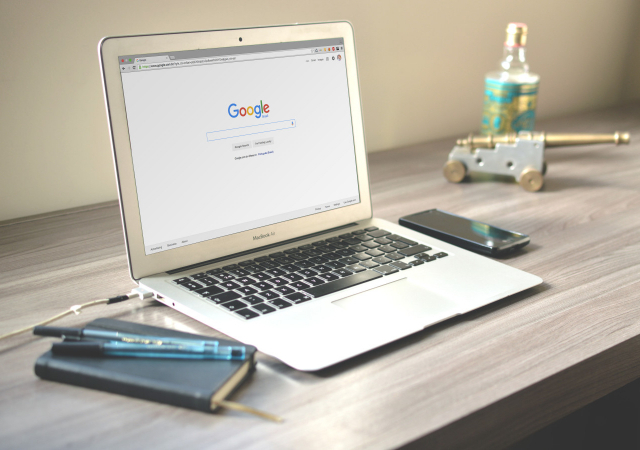 Here are a few effective tactics you can implement to improve your business today and get Google reviews instantly and authentically. If you need anything, you ask it. This quote might seem too simple to comprehend on the surface, but its meaning goes more profound than the Mariana trench, with the ways you can ask it. For example, you can couple your questions/requests with benefits. “We request you to provide your positive opinions about our restaurant on Google. Psst, the first five to give us five stars and reviews gets a complimentary pizza on their next visit.” You can employ similar offers to attract users across the globe and to get Google reviews in some ways. More, the merrier, unless your restaurant can serve only limited users at a time. God might be omnipresent but cannot match Google’s presence in every walk of life. Even in Business! Google Business is software or tool by Google which works to enhance your business given it is available on Search Engine results, or you can make it visible. You can go a step ahead with your business with providing essential information about your business on Google Business which not only helps you get more Google Reviews but helps you with ways in lieu with the philosophy of SEO to improve your business. It could be the timings of your service or Menu that your restaurant offers or any information that might seem useful according to you that makes your service stands out. You can refer to this article by Weave to optimize your Google Business more efficiently. Although there are several enthusiasts of Google users, there are few who do not even know about them. Like them or not, you can get Google reviews from anybody. Only need to send your service’s Google reviews to link to them for them to earn a coupon for their next visit. It might still seem like an offer, but it is still a coupon service or business that you are building here. With many of such, they will invite their friends, talk to them about your restaurant, and may even begin exchanging these coupons. Shorten URL links through Google Business, and you can share them directly with your contacts or user databases. To get Google reviews, one might need to tread the extra mile which could not involve genuine means. However, it is powerfully effective and a robust by-pass to your goal which is to get Google Reviews, but we cannot promise you that all the users will be able to differentiate the bad ones from the good ones. A smart person not only sees the most relevant of reviews but sees a number of them and decides whether they are authentic or just bots that were paid for the service. You should go ahead with third-party software/applications only if you are sure about your need to get Google reviews. When you respond or revert to the reviews you faced, you are in communication not only with the user who commented or gave their review but also with the world by sending them a message that you are active in the online community, which creates a good impression. It can be made impactful by including your social media links to attract more visitors to your online presence. If it is a negative review, do not hesitate to reply to the review. Acceptance of criticism constructively is the first step to excellent progress. Even if that isn’t in your mind’s philosophy, you have got to respond to your reviews to sustain a business model, or you are only seen dancing on the high notes. To appreciate them at least, you need to experience the low notes too, to make sound music out of your business. Reply to such reviews with questions such as “How can we improve?” “What is your suggestion to move out of this predicament?” or similar, polite ways of pleading for their opinions. Whether they matter to you or not, a user needs to be respected. You win some by responding, and instantly. The strength of this new millennium lies in the hands of the youth. Apparently, in the smartphones in their hands that blink each time, social media wants to eat their brains. On the positive side, everyone is clung onto it. If you wish to due and complete attention of everyone, you need social media, which is, again, free. Create a website for your service and learn about SEO to enhance your ranking in the Search Engine Results. Begin your activity on Facebook, Instagram, and Twitter. Maintain a secure database of users who like or share your posts on Facebook and the heart-ers on Instagram. Use references to modern-day shows or employ witty captions to your posts that improve connectivity and makes the users ask more questions about who you are and what you do. Organize contests and competitions online that forces account to follow you and tag their friends to avail a discount or a free service from you. While they visit your service, you can always ask them to write more reviews. Whether you announce a winner or not, is left to you, but it is unpaid promotion and does not demand much of your skill. Not only is social media a good platform, but it is an incredible tool for SEO nerds. You definitely can get more Google reviews with this process. Good reviews or bad, we are all dependent on opinions, since we do not serve ourselves, but everyone in business. In the end, it is customer satisfaction more than any other factor that is responsible for the satisfaction you get. The money and popularity will flow in. The Google Reviews will too if you follow the evergreen practices we’ve compiled. Comment below your favorite way to get Google Reviews.